The history of modern Europe is often presented with the hindsight of present-day European integration, which was a genuinely liberal project based on political and economic freedom. Many other visions for Europe developed in the 20th century, however, were based on an idea of community rooted in pre-modern religious ideas, cultural or ethnic homogeneity, or even in coercion and violence. They frequently rejected the idea of modernity or reinterpreted it in an antiliberal manner. 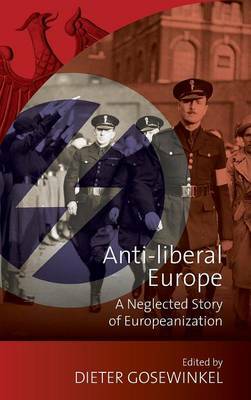 Anti-liberal Europe examines these visions, including those of anti-modernist Catholics, conservatives, extreme rightists as well as communists, arguing that anti-liberal concepts in 20th-century Europe were not the counterpart to, but instead part of the process of European integration.